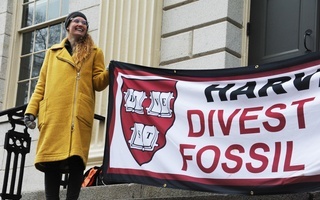 An online petition calling on Harvard to divest its holdings in the fossil fuel industry had garnered 150 signatures as of Tuesday evening. “The University’s continued investment in unsustainable industries undermines our shared vision of Harvard as a forward-looking and ethically responsible institution,” the letter reads. In response to the petition Tuesday, University spokesperson Melodie Jackson reiterated Harvard’s years-long stance on fossil fuel divestment in an emailed statement. Jackson said that though the University recognizes the threat of climate change, Harvard will not pursue divestment as a means to combat environment challenges. 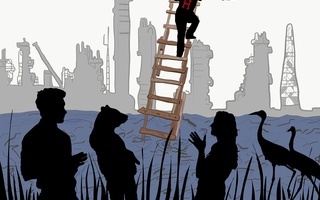 “While we agree on the urgency of this global challenge, we respectfully disagree with divestment activists on the means by which a university should confront it,” Jackson wrote. Jackson pointed to the University’s “Climate Action Plan,” which was released in February and includes a plan to make Harvard fossil fuel-free by 2050. Former University President Drew G. Faust announced the goal to Harvard affiliates in an email, writing that “ambitious climate goals” set by the University come in response to the threat climate change poses to humanity and the planet. Jackson wrote that the Corporation will continue to “actively incorporate” factors of environmental, social, and governance significance in its investment work. “Universities like Harvard have a crucial role to play in tackling climate change and Harvard is fully committed to leadership in this area through research, education, community engagement, dramatically reducing its own carbon footprint, and using our campus as a test bed for piloting and proving solutions,” Jackson wrote. The issue of divestment has a long history on Harvard’s campus. Throughout her tenure, Faust did not support divestment from the fossil-fuel industry, and faced critism from students. 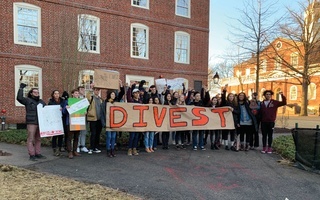 In 2013, she explicitly rejected divestment, writing in a press release that the action was not “warranted or wise.” Environmental activist group Divest Harvard blockaded Massachusetts Hall for six days in April 2015 to pressure administrators on the issue. In recent months, Harvard-affiliated activists have called the University to divest from not only the fossil-fuel industry, but also the prison industry. “There are other ways that the University tries to influence public policy through our scholarship, through our research, but we don't think that the endowment is an appropriate way to do that,” Bacow said. Jackson wrote that the University will “continue to support” its faculty, students, and staff as they pursue research on renewable sources of energy and the effects of climate change. Cohen said Harvard can use its “incredible amount of moral influence” and “really unique economic influence” to make a significant impact if it commits to divestment from the fossil-fuel industry. “We have an unusual capacity to display leadership for our peer institutions and the resistance of the Harvard administration in displaying that leadership,” Cohen said.